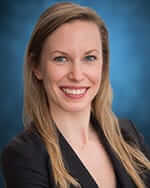 Andrea Donaldson is an associate lawyer at Pacific Medical Law. Andrea obtained her law degree from the University of British Columbia, and was called to the British Columbia bar in 2016. Andrea’s practice focuses on representing individuals and families who have suffered injuries as a result of medical malpractice. Prior to joining Pacific Medical Law as an articling student, Andrea gained experience in a civil litigation firm, representing plaintiffs severely injured in motor vehicle accidents and occupiers’ liability claims.